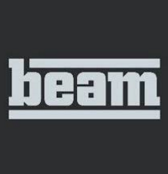 ​BEAM Interactive & Relationship Marketing is one of Boston's top strategic communications, consulting, and development agencies; boasting some of the country's most recognized automotive, financial, and health brands. Purebred Digital provided senior-level SEM strategic consulting and vendor management, affluent Millennial segment digital behavior profiles, and Google Analytics tagging audits with recommendations on enhanced data collection. Integrated Media Solutions is a New York agency that recently was reorganized into their parent company, Assembly Media. During this reorganization, IMS was experiencing rapid growth and needed resources to help maintain service levels for its health, energy, financial services, and pharma customers. Purebred Digital flew out to New York within 2 days, assessed the situation, then worked remotely and commuted, as needed from Chicago providing SEM management services and client management until a new internal team was on-boarded. InTheSwim is the nation's #1 direct-to-consumer e-commerce and shopper marketing swimming pool supply company. Their products are sold on their own Web sites and through Marketplaces such as Amazon.com. InTheSwim needed strategy and activation help during high volume season with paid Search Engine Marketing, Technical SEO management, optimized copy writing direction, and an Adobe Analytics audit and re-tagging. Purebred Digital provided strategy and embedded support helping to streamline paid search automated bidding approaches, expand brand line effectiveness, directed SEO updates, while gathering requirements and on-boarding the top Adobe analytics consulting firm, Ignition One, to create reporting and analytics efficiency. Call a Doctor Plus is a state of the art Online Doctor appointment subscription service allowing employee benefits departments and individuals access to licensed doctors 24/7/365 through their mobile phone, online video chat, or tablet mobile device. This service eliminates waiting in lines, there are no deductibles, and no co-pays; saving consumers hundreds of dollars per year. Purebred Digital was asked to join a discussion with a senior independent re-seller for Call a Doctor Plus to develop a consumer-friendly portal for lead generation on a budget. With this in mind, Purebred Digital built the brand and on-boarded BetterCheckup.com. Desiree's Coiffures is a local beauty salon in the South Suburbs of Chicago that has been in existence for more than 13 years and markets their own line of shampoo, conditioner, and body wash. Currently the product line is for sale through in-store purchase, however with the build of her new Web site, it is up for discussion to bolt on an e-commerce back end to the new SEO developed Web site we built for her business.